Four puppies were abandoned on someone's doorstep this week and it appears they are infected with canine parvovirus. Four puppies infected with the life-threatening and contagious canine parvovirus are being treated at a Davie veterinary clinic, according to an animal rescue group that is calling for donations to help the abandoned pups. The 100+ Abandoned Dogs of Everglades Florida, Inc. nonprofit said the four emaciated puppies are fighting for their lives at the Advanced Veterinary Care Center in Davie, adding that veterinary treatment so far has cost more than $12,000. Amy Roman, president and founder of the organization, said someone called her group Wednesday night after finding four puppies on their doorstep. 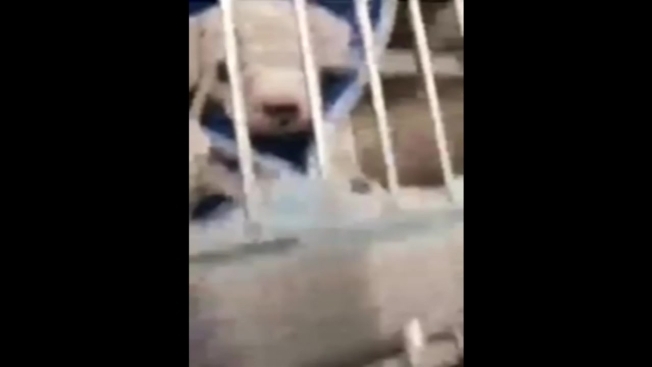 The puppies are being treated in intensive care at the 24-hour facility with feeding tubes and intravenous therapy for fluids and antibiotics. The organization, which rescues abandoned dogs and helps them recover to ultimately place them in permanent homes, is calling for donations to support its efforts. In 2017, 100+ Abandoned Dogs of Everglades Florida, Inc. settled with the Florida Department of Agriculture and Consumer Services over accusations of misspending money and misleading the public about its all-volunteer status. The group was ordered to pay a $5,000 fine and to tighten its fiscal policies.